I love this whole video. 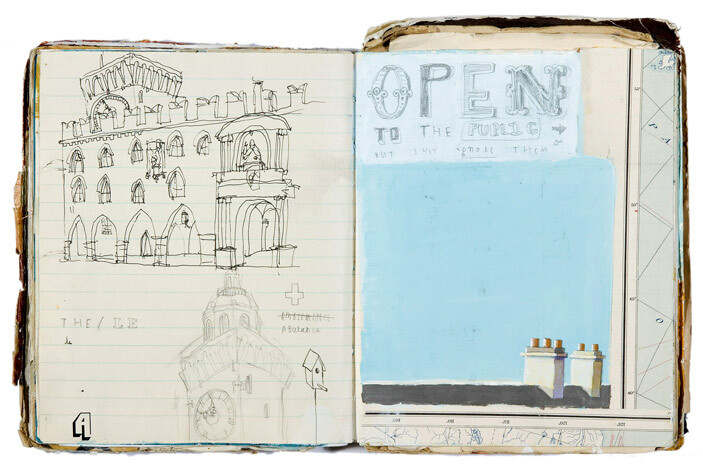 And I really love the little peeks into his sketchbooks. And his compulsion to both tell and illustrate stories simultaneously. There’s something of a Wes Anderson aesthetic to all of this, but more free-seeming. I love the listing and the crossing-off-of-listing and the drawers and the labeling. He has a new website, but it’s not up yet. I learned about him through SHARE SOME CANDY, but I’d like to see more. 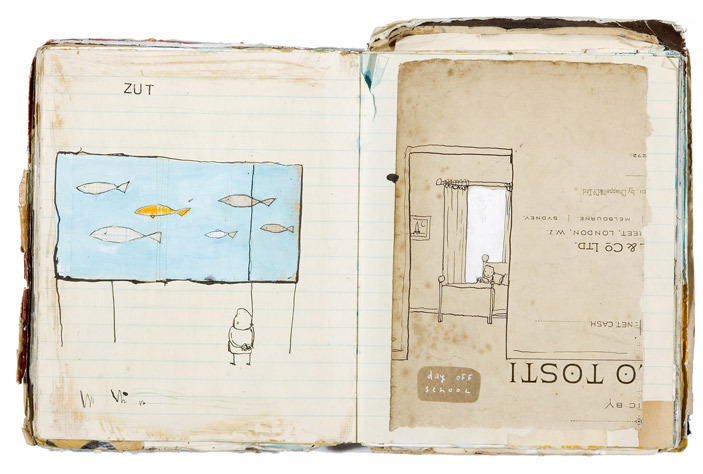 He has some things up here: www.oliverjeffers.com. 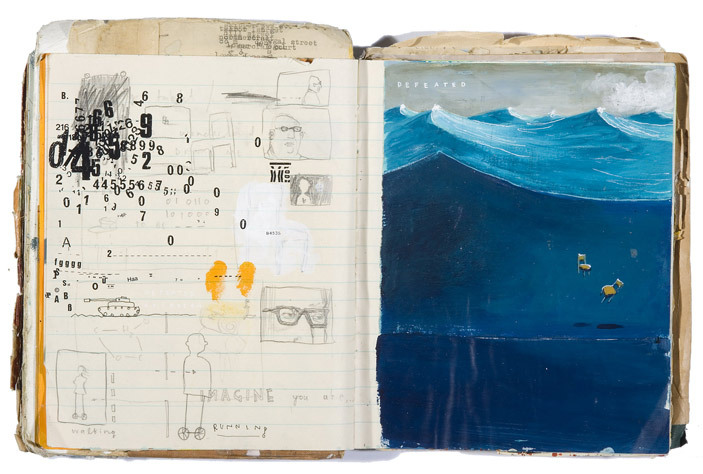 There are a bunch of projects and books and even some interesting paintings up on his site, but what I really want to see are more of those sketchbooks! Plus he’s pretty dreamy, so seeing more of him wouldn’t be bad, either. BowchickabowWow. He has some nice little doodles in the “Illustration for Me” section on his website. 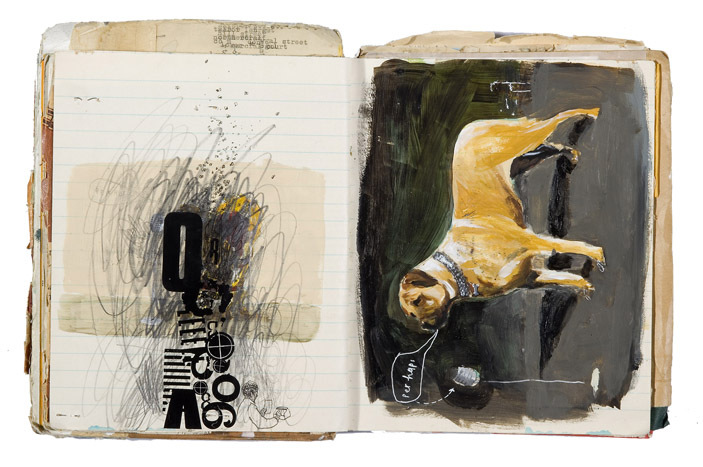 The real gold, however, is in peeking into his sketchbooks: Sketchbook 2. I seriously adore every spread…. I think part of why I like his work so much is that he has great handwriting. I am always interested in/jealous of great handwriting. What do I mean by “great handwriting?” Well, I believe it has something to do with being happy-looking, bubbly, in a sense. The letters are irregular in size, shape and height. But there is something clean and neat about it. There is something child-like about the form, but not in a negative sense. Perhaps, great handwriting is handwriting that looks hopeful and curious and investigative in a Harriet-the-Spy sort of way. Hi thanks for finding and sharing Oliver Jeffrey’s web site. I have had a look around his current site and really liked his work and find it so imaginative, what an amazing range he has – books, paintings, animation. He DOES have such a range. I always admire people that can work through and between the fields of writing/literature and drawing/art.